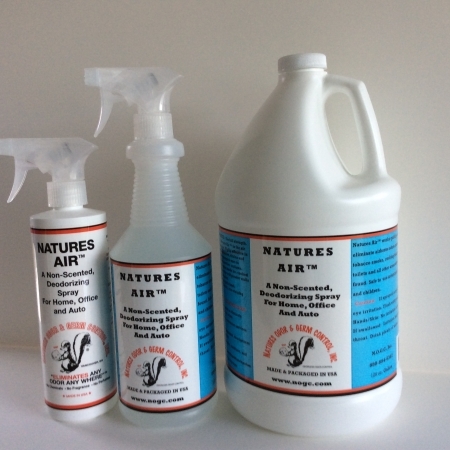 Natures Air™ Spray works quickly and safely too, eliminate airborne odors. 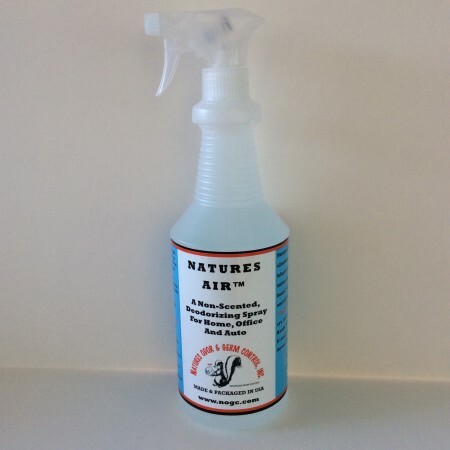 Natures Air™ Spray neutralizes, sanitizes, and eliminates odors. It is an odorless unscented spray for home, office, auto or recreational vehicles. Which of N.O.G.C., INC. Is products best for smoke odor in the air? 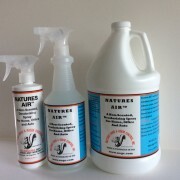 Natures Air™: spray room or house with the product. It is best to have a fan running or even wave a towel around for circulation. Does Natures Air™ have any fragrance or smell of its own? No. It is completely odorless so it does not mask odors, it eliminates them completely. I had to walk through a smoking area to get to the restroom, now I smell like smoke; what can I do? Spray Natures Air™ up in the air and let it fall on your clothes. What type odor does Natures Air™ work best for? 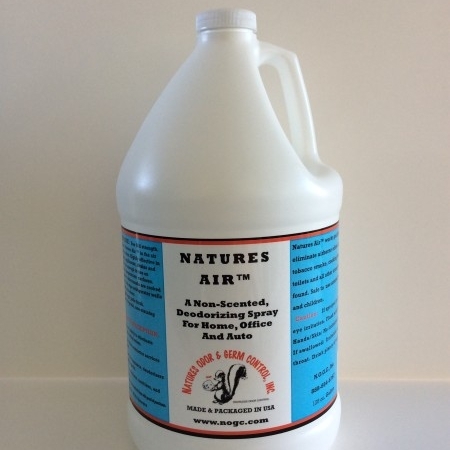 Natures Air™ works very well on bathroom odor, cooking odor, tobacco smoke, and burnt foods. We had bacon for breakfast and here it is supper time and I still smell bacon, and we are having company for supper, HELP? Spray Natures Air™ all over the house and in the microwave, where the bacon was cooked, then wipe the microwave out with a damp paper towel. Will Natures Air™ hurt fabric or leather if sprayed on them? No. This product is non-staining, odorless and colorless and may be sprayed on any type of fabric or leather, such as in automobiles for smoke or pet odor. We bought a car, and it had been smoked in, I need to get rid of the odor. Spray inside of vehicle all over then spray through circulation system. If the odor is really strong, I would use Carpet Granules, also. Will Natures Air™ stain my white tablecloth and other light color items? No. the product is non-allergenic, non-staining and non-toxic. 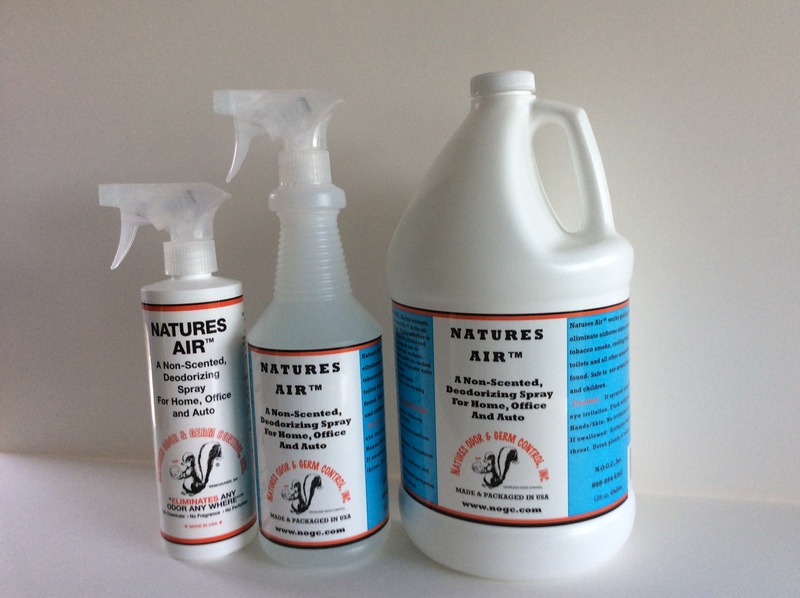 Will Natures Air™ hurt my pets, plants or children? No. The product is totally safe around people, pets, plants, and food. I am cleaning the refrigerator and I need to know if I can use Natures Air™ to spray in my refrigerator since I can use it in my microwave? Yes, you can use Natures Air™ in the refrigerator. Natures Air ™ 16 oz.